← Can Catholic Children Receive the Last Rites? A: On the surface, it certainly can seem that members of the Catholic hierarchy fill identical roles but don’t always have identical titles. The system is actually consistent and reasonable, once one understands how it works! Jackie’s question actually contains two separate parts, the first pertaining to the Church’s organized system of dioceses, and the second to its system of hierarchical ranking. We’ll take a look at each one separately. Every inch of this earth, if it has been evangelized and now has a permanently established Catholic presence on it, has been organized into dioceses, also referred to in legal parlance as “particular churches” (defined in canon 369). Rome alone has the authority to create and determine the boundaries of a diocese (c. 373). The head of a diocese is called a bishop (c. 376). The average Catholic is no doubt familiar with these concepts thus far. But few are aware that dioceses are then grouped into ecclesiastical provinces. Canon 431.1 explains that the reason for this arrangement is to promote common pastoral action among neighboring dioceses, and to foster close relations between diocesan bishops in the same region of the world. In other words, a diocese is not supposed to be an island unto itself, in communication only with Rome. While of course Rome is the supreme authority, to which every diocesan bishop is answerable, there are also relations between dioceses themselves that officially must be maintained. As a rule, several dioceses are grouped together into an ecclesiastical province under the leadership of the bishop of one particular diocese, determined by the Pope (c. 435). That bishop is technically the metropolitan of the ecclesiastical province. In his own diocese, the metropolitan is referred to as an archbishop, and the diocese which he heads is an archdiocese. In other words, an archbishop is the bishop of an archdiocese, which is the diocese which heads up an ecclesiastical province. It’s actually not as confusing as it sounds! The diocese of Camden, New Jersey, for example, is in the ecclesiastical province of Newark; we say therefore that Camden is a suffragan of the Archdiocese of Newark. To cite another example, the diocese of Orange, California, is in the ecclesiastical province of Los Angeles. The Archbishop of Los Angeles, therefore, is its Metropolitan. This organizational system is the reason why we speak of the Archbishop of Boston, but of the Bishop of Austin, Texas. The first is a metropolitan and the head of an archdiocese; the second is not. Why does the Church need this arrangement? We saw one practical instance of this system at work in “Why Do Marriage Annulments Take So Long?” which described basic marriage-annulment procedure. When a marriage is judged by a diocesan tribunal to be null, the case is automatically appealed and re-heard by another tribunal. The second, appellate tribunal is ordinarily located in the archdiocese of the province to which that diocese belongs (c. 1438 n. 1). Since the nullity declarations of marriage cases originally heard by the tribunal of the archdiocese itself also are appealed automatically, an arrangement is always made for those cases to be heard on appeal elsewhere too, perhaps in a different archdiocese (c. 1438 n. 2). The fact that some bishops and archbishops are called cardinals is an entirely separate matter. There is nothing contradictory about a cleric being a bishop and a cardinal at the same time, because the two concepts are theologically different. When the Pope decides that a certain priest is to become a bishop, this means that the priest is being chosen to be one of the successors of the Apostles (c. 375.1). Since the priest has received the sacrament of holy orders, he is already a member of the clergy; but becoming a bishop now requires episcopal consecration, which raises him to what Vatican II termed “the fullness of holy orders” (LG 21). The mere announcement of his choice by the Pope does not make the priest a bishop; he must also receive the episcopal consecration in order to become a member of the episcopacy. Once he has been consecrated, a bishop has additional sacramental powers that an ordinary priest does not have: bishops may ordain men to the diaconate and the priesthood (c. 1012), and confer the sacrament of confirmation on the faithful (c. 882). A bishop can also consecrate other bishops (see cc. 1012-1014). We can see here that there is a sacramental change when a priest becomes a bishop. But when the Pope announces that a certain bishop is to become a cardinal, there is no such change. There is an official announcement, and a ceremony at the Vatican (where the new cardinal receives his “red hat”), but there is nothing specifically “sacramental” about it. So since a bishop already possesses the fullness of holy orders, what’s the point of his being named a cardinal anyway? The existence of cardinals in the Church’s hierarchy can be traced back historically to the very early days of the Church. The Pope had certain clerics around him who acted in an advisory role. The term “cardinal” comes from the Latin word cardo, or hinge; these men were key figures in the functioning of the Church on earth. The College of Cardinals which exists in the Church today continues to serve this fundamental purpose (c. 353). 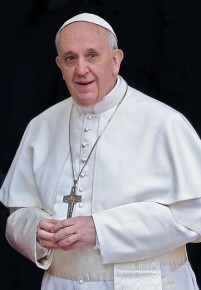 The most well known responsibility of the College today is of course the election of a new Pope after the reigning Pope has died, but the Pope also can and does call Consisteries, or official meetings of the College of Cardinals, when he wishes to discuss and get their opinions on various important issues in the Church. While having an administrative role in the practical operations of the Catholic Church is unquestionably important, the job does not itself require any sort of consecration. A bishop, therefore, who has been named a cardinal remains a bishop. This is why a diocesan bishop or archbishop can also be a cardinal. Historically, the bishops of particularly important dioceses throughout the world are normally named cardinals, as a sort of additional honor. While the Pope certainly tries to find the best possible cleric to head every diocese, it is particularly important to have key men in the largest and most influential dioceses of every country. Naming these men to be cardinals is an additional sign of the significant role they play, not only in governing their own dioceses, but also in advising the Pope. Here in the US, traditionally the bishops heading the larger archdioceses like New York, Chicago, and Washington, DC are usually named cardinals as well. This is why it is completely correct to speak, for example, of Cardinal George as the Archbishop of Chicago—because he has both roles and both titles. The relatively new Archbishop of New York, Timothy Dolan, has not (yet) been named a cardinal, so at least for now he is referred to simply as Archbishop Dolan. In order to become a cardinal, it technically is not even necessary to be a bishop. Over the centuries there have traditionally been cardinals who were deacons or priests. Nowadays, as a rule, any non-bishop who is named a cardinal must be consecrated a bishop (c. 351.1). However, it is possible for the Pope to dispense from this law, and Pope John Paul II did exactly that when he named the late American theologian Avery Dulles a cardinal back in 2001. Father Dulles was not required to be consecrated a bishop, so he was created a cardinal while remaining a priest. How does the Pope himself fit into this scenario? His situation is unique. By definition, the man elected in a papal conclave is the Bishop of Rome, so he must be a consecrated bishop. When he is elected as Pope and he accepts the election, he at that very moment becomes Pope (c. 332.1). In other words, there is no such thing as “papal consecration.” There is also no particular reason why he would even have to be a cardinal. While Popes ordinarily are selected from among the members of the College of Cardinals, this technically is not a requirement. It is possible for the cardinals who are voting in a papal conclave to elect someone who is not even present and eligible to vote! But since the voters normally are looking for someone who is already experienced and well known in the Church, it is highly unlikely that they will elect someone who is not among them. We have seen, therefore, that bishops who head archdioceses are called archbishops, that some, but not all, bishops are cardinals, and that cardinals are ordinarily bishops. The system may seem confusing, but it is a consistent system nonetheless. 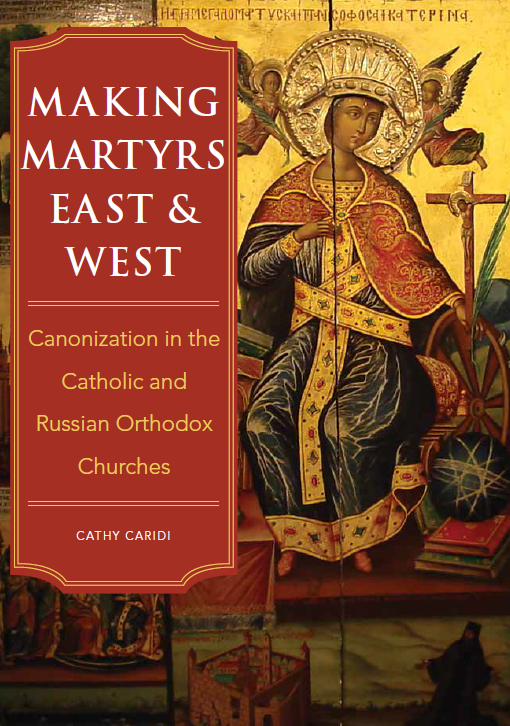 Its origins can be found in both the modern administrative structure and the centuries-old history of the Church. This entry was posted in Clergy Issues and tagged archbishop, bishop, canon law, cardinal, Catholic. Bookmark the permalink.